Thank you for your interest in contacting Mid Atlantic Machinery. 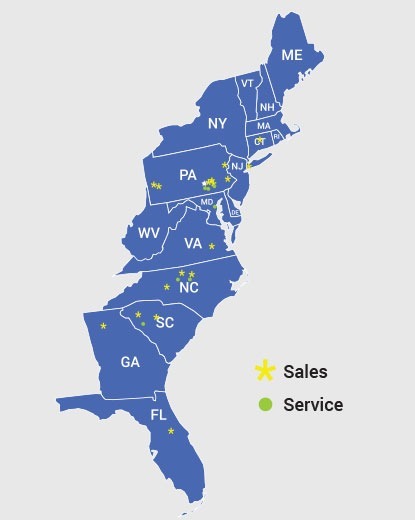 We serve the Mid Atlantic region and New England, from Maryland to Maine. You may contact us directly using the information below, or simply fill out the online form and we will be in touch to answer all of your questions. Thank you for your interest!